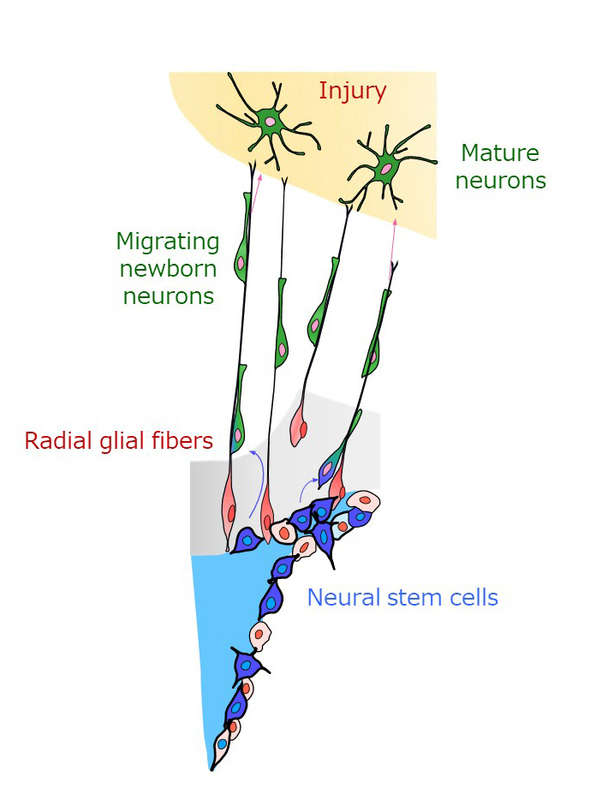 New neurons and glial cells are continuously generated throughout life, not only at the embryonic and neonatal stages. Recent studies using experimental animals indicate that several regions of the adult brain have the capacity to regenerate injured neural tissues. In collaboration with researchers at other laboratories in NIPS, we have been studying the mechanisms for cell migration and regeneration in the postnatal brain. Our group aims to study the endogenous repair mechanisms in the brain and develop a new strategy to promote neuronal and glial cell regeneration after injury. Fig.1. Newborn neurons (green) generated by neural stem cells (blue) migrate along radial glial fibers (red) towards the injured brain tissue and differentiate into mature neurons (Jinnou et al., Cell Stem Cell 2018). Fig.2. 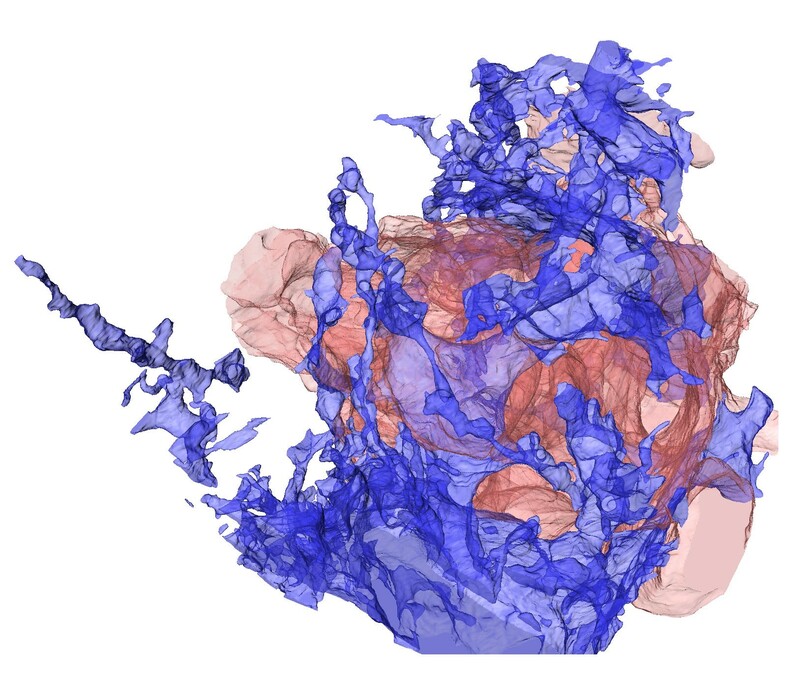 Neuroblasts(red) migrate toward a lesion through a meshwork of processes from a single astrocyte(blue), as shown by SBF-SEM (Kaneko et al., Sci.Adv 2018).